Audioboom / El Clasico Preview: Can Real Madrid catch Barcelona? 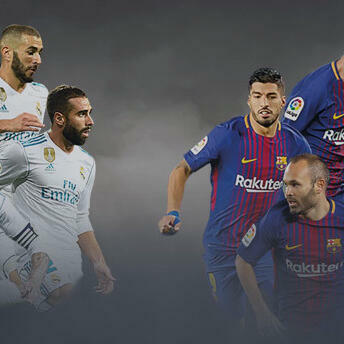 It's that wonderful time of the year again, and coupled with all the gifts given we will receive a huge pre-Christmas Clasico in Real Madrid v Barcelona. Jason Pettigrove and Euan McTear joins host Marc Mayo for this special episode of the Eye on LaLiga podcast, as they drill down into everything El Clasico ahead of Saturday's big game.